Please join us in congratulating Peter Veldkamp, MD, MS, on his promotion to the rank of Professor of Medicine in the Clinician-Educator pathway, effective Monday, October 1, 2018. 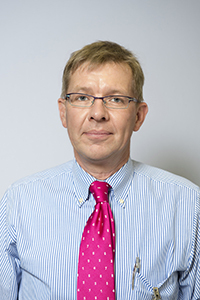 Dr. Veldkamp joined the Division of Infectious Diseases in 2003 at the rank of Assistant Professor. He was named Director of Education for the ID Division in 2006. Two years later, Dr. Veldkamp and was appointed as the Assistant Dean for Global Health Education for the University of Pittsburgh’s School of Medicine in 2008. He was also named as Director, Area of Concentration in Global Health and Underserved Populations for the School of Medicine that same year. Dr. Veldkamp was promoted to the rank of Associate Professor of Medicine in the Division of Infectious Diseases in 2009. In 2013, he was appointed Associate Dean for Global Health Education for the School of Medicine. He was appointed as Associate Dean for Medical Student Research for the School of Medicine in 2017. Dr. Veldkamp has a very strong record of achievement as a dedicated physician, educator and skilled mentor. His work on behalf of his patients and students has made a tremendous impact locally and internationally. He has been tireless in his commitment to providing the best care possible for a complex patient population and to ensuring that the next generation of physicians will be well trained to care for them.